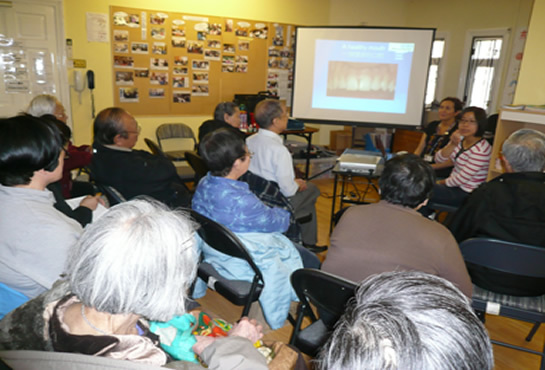 27th April 2009, “Dental care” for people aged 65+” was given in English by Dental Care Specialist Carol Alberti. In house interpreting service provided by Eva Tsang (Community Health Worker of CHIC). 11 people attended.